A short time after Mark Cheatham, 34, phoned police, officers found Michael D. Jackson, 39, shot multiple times in a car in Amityville, Suffolk police said Tuesday. Jackson was pronounced dead at a hospital. 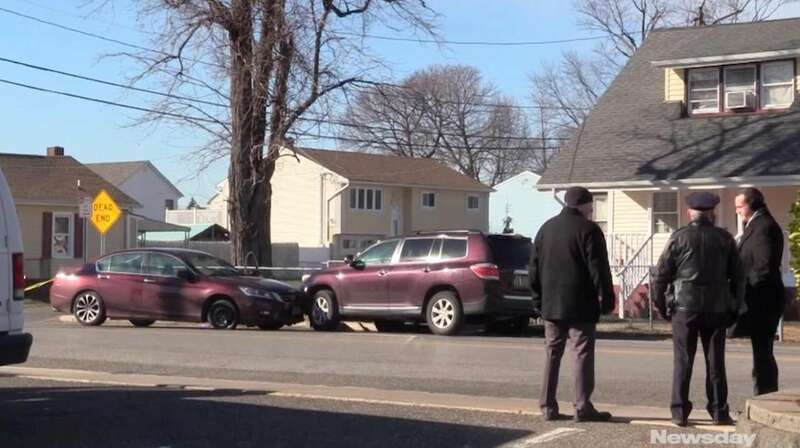 A Copiague man who police said called Suffolk police Tuesday morning and told them "he had just shot someone" in Amityville was arraigned on a murder charge Wednesday and held without bail, officials said. Suffolk prosecutors said Marc A. Cheatham, 34, of Banbury Court, fatally shot Michael D. Jackson, 39, of Amityville. Suffolk police said they found Jackson unconcious at about 7:45 a.m.Tuesday in a Honda at Albany Avenue and South Park Place. Jackson was transported to Good Samaritan Hospital Medical Center in West Islip, where he was pronounced dead, police said. Cheatham was taken into custody by responding officers Tuesday after he called Suffolk police at about the same time as officers found Jackson to say he had shot someone at the location, authorities said. "We believe there was some sort of relationship between them," said Det. Lt. Kevin Beyrer, commanding officer of the Homicide Squad. There's "no reason to believe this was random." Suffolk prosecutors said Cheatham was arraigned Wednesday in First District Court in Central Islip. A felony complaint filed against Cheatham said the victim was struck in the head and torso. According to the complaint, Cheatham told a homicide detective: "I shot him. I believe I shot him in the body and the head." Cheatham's attorney could not be reached for comment Wednesday night.